This was my grandfather's Pickup truck. It was bought in 1973 with 90,000 miles on it. It was originally used to haul canoes to California. It had a 307 V8. The pictures below show the truck after it had been painted by my father from a yellow to the two tone blue. Here is a rear shot. 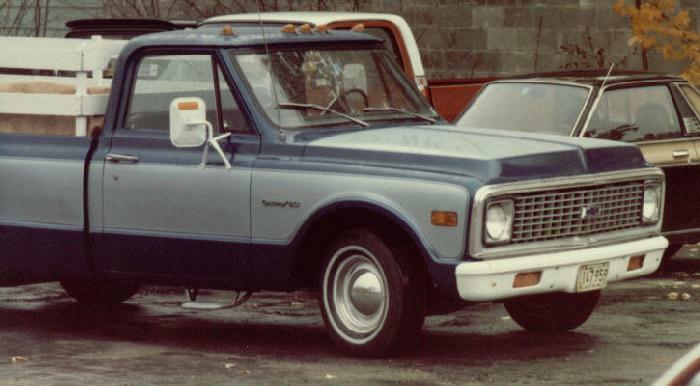 The truck was sold and is suggested to be located in a gravel pit in Northern Maine.